Curious how to buy silver? Silver and other precious metals have become increasingly attractive investments over the last few years. Although many investors have considered it a vital piece of their portfolios for decades, others have only recently discovered the benefits of silver investments. The financial crisis and economic turmoil surrounding the Great Recession had a destructive effect on the stock market in the 2000s. Even as the market rebounded in recent years, many investors – particularly retirees –are still trying to make up for lost ground. Others have pulled their money from the market entirely in an attempt to safeguard their savings from further volatility. These investors have educated themselves on how to buy silver and are now taking a more proactive position to protect their lifestyle. You don’t need to be a financial expert or have some “inside connection” to purchase silver. 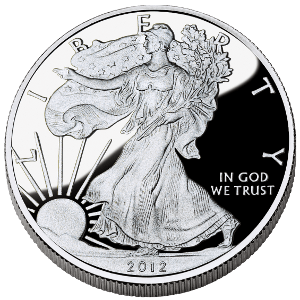 In fact, in many regards, buying silver is even simpler than investing in paper assets, of which there are thousands and thousands to choose from. All you need is a little knowhow and some guidance from an established precious metals firm. 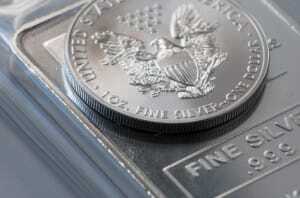 Follow these simple tips on how to buy silver the right way. The first step to purchasing silver is finding an established precious metals supplier, such as Birch Gold Group. Make sure the company you choose has significant industry experience and a solid reputation for assisting investors like yourself. A good precious metals company will do more than just sell you silver. They can educate you on how to buy silver and choose investments that are aligned with your investment plans. Are you investing for short-term benefits or long-term? Are you looking for growth potential? Something low-risk and stable? A way to protect your savings from stock market volatility and the declining dollar? These are all common reasons why people buy silver, but to ensure you choose the right investments for your individual situation, you’ll need to identify what your specific goals are. Now that you’ve determined your goals, it’s time to select your investment. Some of your options include silver bullion, silver numismatic coins or even a silver IRA (an individual retirement account backed by investments in silver). Your precious metals specialist can go over your options in greater detail, so you understand the unique benefits and features of each one. Confused about something? Not feeling confident about your investment? Now is the time to ask questions. Purchasing silver shouldn’t be scary or confusing. It should be a focused strategy that is aligned with your goals. Never hesitate to ask questions or take extra time to understand your options, so you can have complete confidence about your investments. Let Birch Gold Group help you determine if silver or other precious metals are right for your portfolio. We are a leading precious metals company dedicated to helping investors like yourself discover the benefits of investing in silver. Rated A+ by the Better Business Bureau, we offer a variety of options, including silver IRAs, silver bullion and numismatic coins. Get free information on how to buy silver or other precious metals by filling out the form on this page, or contact us today at (800)355-2116.